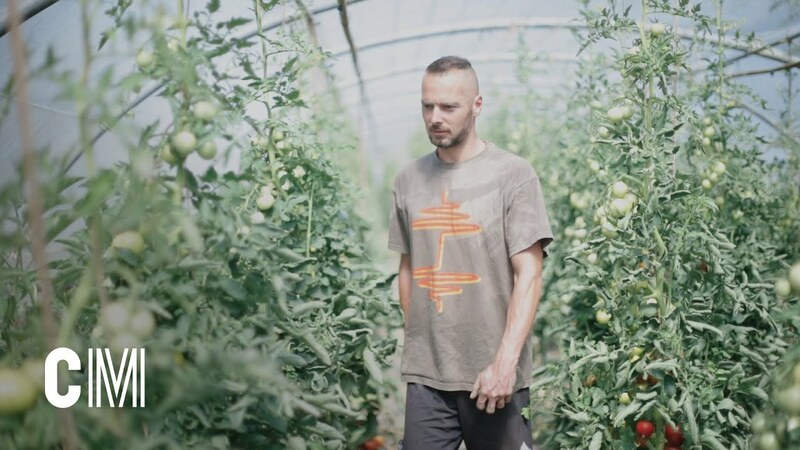 In the borough of Gerpinnes, at Ferme du Trieu Gilson in Joncret, Denis Dal and his partner Nathalie Bodart produce vegetables for 300 families whilst respecting the environment. These local market gardeners explain why the baskets of vegetables are an ethical and sustainable solution for eating high-quality food. ‘We find about 7 types of different vegetables in the basket: lettuce, flat-leaf parsley, aubergines, fennel, tomatoes… All for 10 euros. The vegetables are fresh, I have just been to pick them’, explains Denis Dal, 37 years old, market gardener for about ten years. For him, the baskets of vegetables are one of the solutions for the future, both for his profession and for the quality of our food. Nothing predestined Denis Dal, who was educated in art, to produce vegetables. However, this thirty-year-old was immediately hooked when he started to grow some vegetables in his mother’s garden in Joncret. ‘I distributed vegetables from left to right, to various friends, until they wanted to pay me for what I gave them. It was then that I decided to produce vegetables professionally. I learnt everything on the job’, says Denis Dal. Little by little, Denis Dal started to grow larger quantities. He found his first customers in Brussels via the Gasap network, les Groupes d’Achats Solidaires de l’Agriculture Paysanne [Small Farmers’ Sales Support Network]. ‘Several friends from Brussels were looking for a local producer, so I suggested Denis’ vegetables, they immediately accepted’, explains Nathalie, educational social worker and supportive spouse. The principle of Gasap is quite simple: they offer baskets of organic vegetables for direct sale without an intermediary. The consumers are in contact with producers at the time of delivery and in participative projects, organised one to two times per year. ‘We welcome the Gasap to pick potatoes or to make apple juice, for example’, says Nathalie. In addition to the organic quality of the vegetables, the baskets represent a social relationship between the producer and consumers, as well as a long-term commitment. Customers commit at the start of the year to take baskets for the full season. 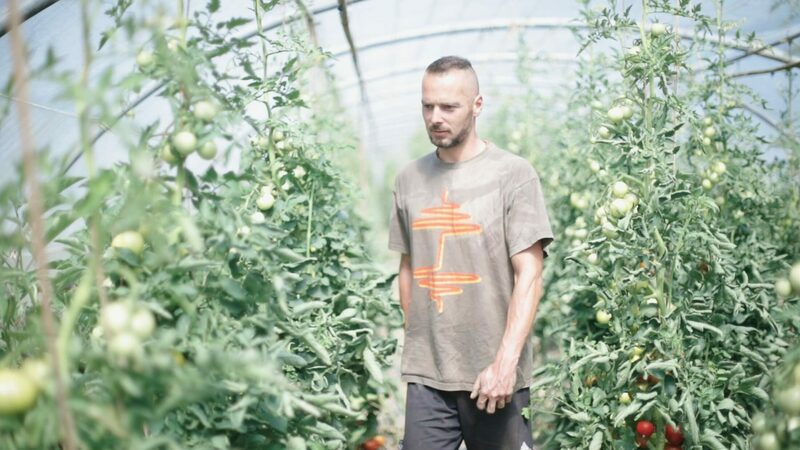 Denis Dal can therefore concentrate on producing the vegetables which will be eaten by these customers. What’s more, in addition to the social relationship, the vegetables are local. They are produced in Joncret. The delivery transport time is therefore very short and the products have no packaging. Currently, Denis Dal and Nathalie Bodart supply 250 to 300 baskets every fortnight in Brussels. By choosing the baskets, you are also choosing local economic development. After having looked in Brussels, Denis Dal and Nathalie Bodart finally found happiness in the borough of Gerpinnes: affordable agricultural land, as well as a farm. ‘We lived in Brussels, but there it was impossible to run a market gardening business: agricultural land is too expensive, farms are exorbitant. In Joncret, we found land and a farm that suited our needs’, says Denis Dal. Currently, Denis Dal and Nathalie Bodart grow produce in 6 hectares. They have built 9 greenhouses on their land. They distribute their vegetables via baskets and a small farm shop, open on Fridays from 4:30 p.m. to 6:30 p.m. in their barns. ‘The vegetables that we sell directly are the same price as elsewhere, as the producers, it’s we who set the prices and not the intermediaries who could negotiate a profit margin’, explains Nathalie Bodart, manager of the small shop. Buying baskets from a local market gardener guarantees local jobs, vegetables at a fair price and the region’s economic development. In the future, these market gardeners are looking to develop a network for depositing the baskets in Greater Charleroi. The Ceinture Alimentaire [food belt] of Greater Charleroi is also a significant resource for them. Vegetable production through baskets is designed according to sustainable logic. The vegetables are produced whilst respecting the environment. Denis Dal grows his produce without chemical input, he uses natural fertilisers (compost, manure, etc. ), lets the land rest and practises crop rotation so as not to deplete the soil. He is thinking about long-term agriculture. ‘It’s important to respect the land, it ensures that the vegetables will taste good’, Denis tells us. What’s more, the baskets prevent food waste. Only the vegetables sold will be picked. This method of consumption limits the surplus of vegetables and inefficient ways of storing them, such as fridges, for example. At the end of the day, if the vegetable baskets can change some consumers’ attitude to the normal method of consumption (in particular, we are thinking about well-stocked vegetable shelves), they represent a significant solution for the future. The vegetable baskets prevent food waste, long transport periods and inefficient storage methods.